I have a daughter who graduated in the spring from college and has her first job now. She is looking for her own credit card. She has had her own AMEX for years, but under my account. She has zero debt but has really no credit history, since the AMEX was my account. Will this impact getting card approval? What is the best bet to get a card? She makes $42,000. Would an AMEX card make the most sense or would they have no history on her? What I don’t want her to do is keep applying for cards and getting turned down. She really wants a rewards-type card so that she is building toward something like miles, points, etc. It’s great that your daughter found a solid job right out of college and wants to start building her own credit history. This is important not just for a future home loan or car loan, but also for insurance and apartment rental purposes. A few things first: One, if she was an authorized user on your account, she may well have been building her own credit history ever since she was added. 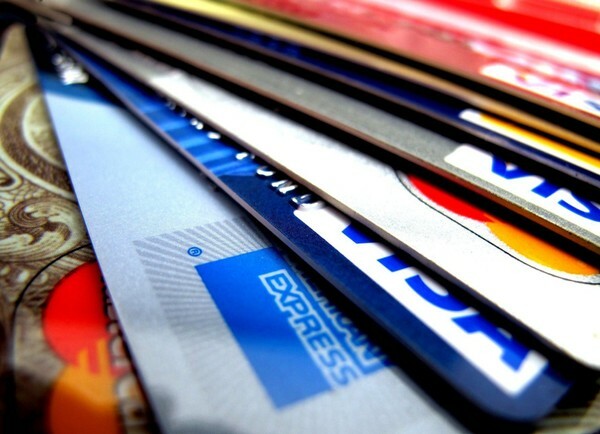 Some credit card issuers report authorized users to the credit bureaus and some don’t. You should check because this may influence how you proceed. You can find this out by having her pull a copy of her credit report, either online or by mail. If your daughter’s authorized user status has been reported to the bureaus, it’ll show up on her credit report. And if that credit card has been maintained in good standing, no late payments and a current monthly statement balance of less than 25 percent of the credit limit, then she should be able to get a low-limit credit card without much problem. If she wants AMEX or another card, she should try that. Credit card issuers aren’t as loose as they were 15 years ago, but it’s easier to get a credit card now than it was eight to 10 years ago. You’re smart to realize she shouldn’t just go on a frenzy applying for credit cards. That will crash her credit score quickly. If she wasn’t on your account, then she’ll likely be starting from scratch. There are a number of card issuers that are friendly toward college students or new graduates. She could start by talking to the bank where she has her checking account. But make sure she’s just asking questions, not applying. Discover It card. FICO score every month is good. It seems like all sellers of anything want you to automatically renew, and will charge the credit card used for the initial purchase. (They’re aided by the banks who give out your new credit card number if it has changed.) It seems that magazine subscriptions and other companies do not notify you that you’re signing up for auto renew. Nor do they offer an opt-out. My solution has been to call in my order and make them take me off the auto renew list before I finish the transaction. Other suggestions or comments? With magazine subscriptions, whether for myself or those I give as a gift, I always pay with a check from my secondary checking account (which I don’t keep a lot of money in). If you really wanted to be even more careful, you could pay by money order. Another option is a prepaid debit card such as MOVO® Digital Prepaid Visa® Card or American Express Bluebird. But this would work only if you don’t keep enough money on the card to cover the next year’s renewal. I do caution people to avoid signing up for free trials or other things that require you to provide a credit or debit card and then cancel by a certain date if you don’t want to be charged. Those often end in headache.